The 19th Century houses on Ferry Street sat in limbo for decades. Today, improvements to the neighborhood created by the growth of the adjacent cultural center offer promise for their survival. The corner may have been turned on Ferry Street as witnessed by the serious renovation of these two houses and others nearby. 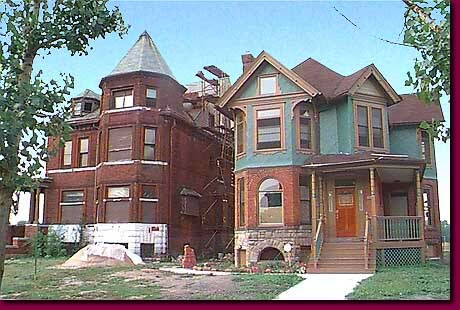 Indeed, it has been encouraging that in the years since this website debuted, a noticeable turnaround in the restoration of historic quality house has occurred in several areas of Detroit.